A couple of weeks ago, I visited Colournation located just off Oxford Street for an Olaplex treatment. I’ve read a few positive blog posts about the treatment before, so I was very excited to test this out for myself. Unfortunately, I forgot to charge my camera, so I took photos with my phone, but hopefully I’ve covered everything in the text! 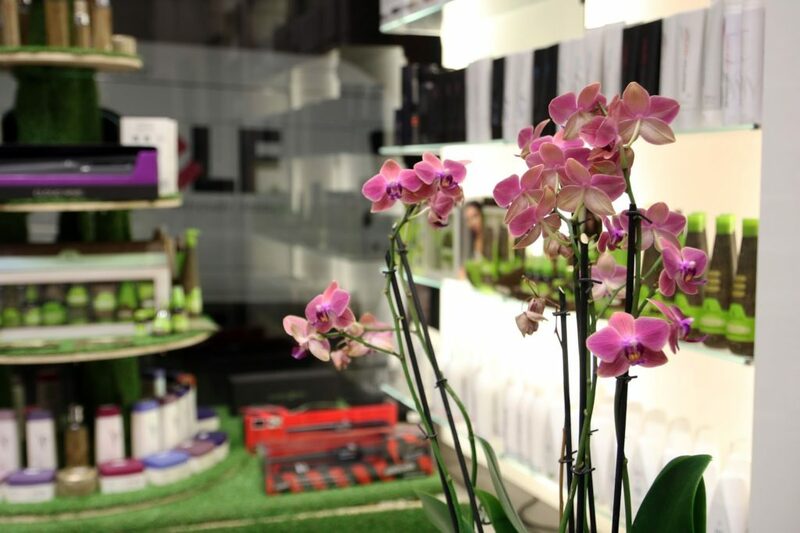 Colournation is a hair and beauty salon focusing on hair colouring, which the name already suggests. However, you also have the option to get a haircut, perm and all sorts of treatments. Nevertheless, a lot of these treatments can be used as an add on service, i.e. Olaplex can be used with colouring – for half the price of a standalone treatment. 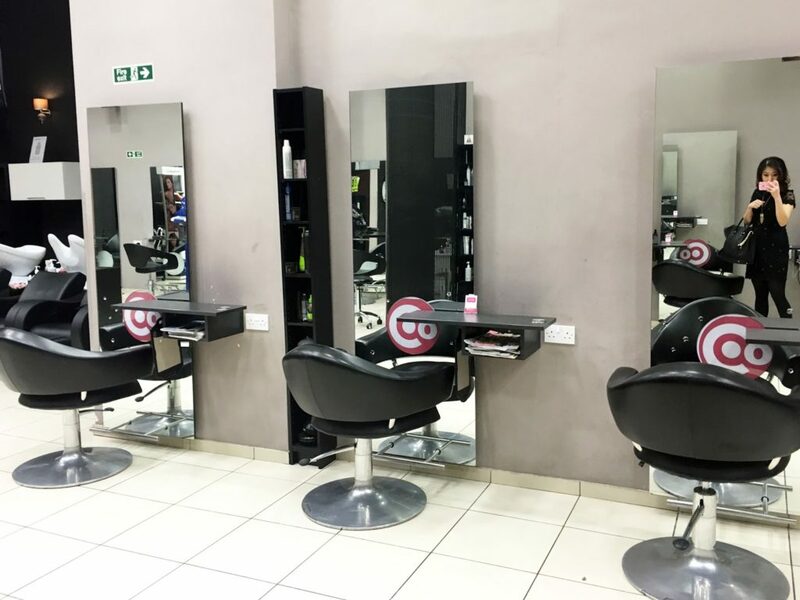 The salon itself is effortless with a reception and a waiting area at the front ad a medium sized styling area at the back. The styling area is super simple and it’s very ope, so you have the option to spy on others hairstyles, which of course I love to do! Other than a couple of flowers and products on display at the front, the place is very relaxing and not overly decorated. I was booked in for an Olaplex treatment and a blow dry with Lucia, senior stylist at Colournation. I was the last customer, but Lucia made sure that she took time to explain everything to me before the treatment and that I was happy with the blow dry before leaving the salon. Before the treatment, Lucia gave me an introduction to Olaplex and how it works. She explained it by comparing my hair to a coconut! So the hair that you see on the outside is the “shell” of the coconut and the more important nutrient is on the inside. Have I lost you there? Basically, Olaplex treats the inside of your hair (the inside part of an coconut), without changing the overall look of the shell! A treatment on its own doesn’t make your hair look nicer, but it renews the hair strands from the inside, so your hair doesn’t damage as much during the next chemical treatment. Because the bonds have been repaired your hair also holds colour better! Hence, it works best as an add on to hair colouring or a perm. The treatment is divided in three steps with a hair wash and blow dry. The Bond Multiplier was first applied and left in my hair for around 10 mins before the Bond Perfector was applied and left in for around the same amount of time. In addition, if you want to maintain the nice hair, then you have the option to buy the step 3 Hair Protector to use at home! 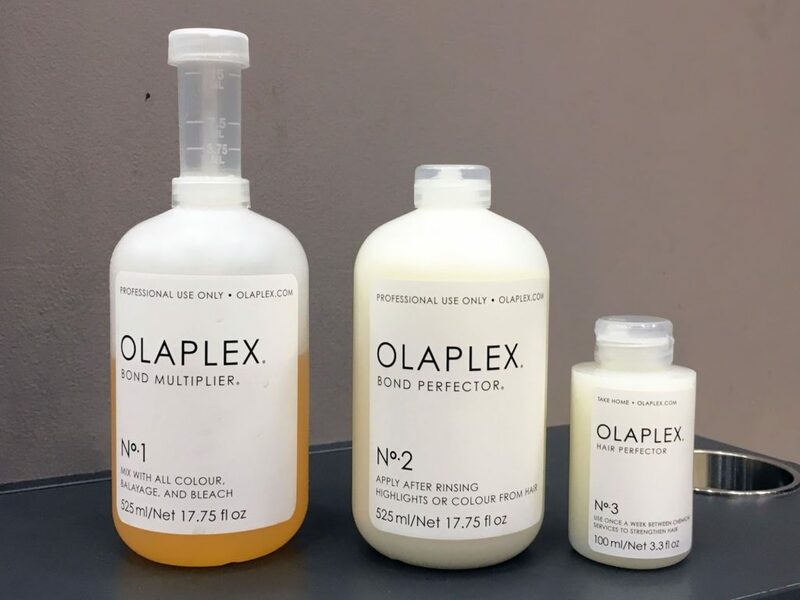 Olaplex basically works as “insurance for your hair” and “reconnect the damaged bonds within your hair” and it’s readily available at Colounation! Nevertheless, a few days after the treatment, I can definitely say that my hair feels extremely soft, looks super shiny and it also feels a lot lighter! It’s also brought out some colour from my coloured hair (which I did 6 months ago). My family has also been commenting on how healthy my hair looks! I also love my blow dry! It only lasted a couple of hours, but it was nice whilst it lasted! Disclaimer: This is a complimentary treatment, but the views are 100% my own.